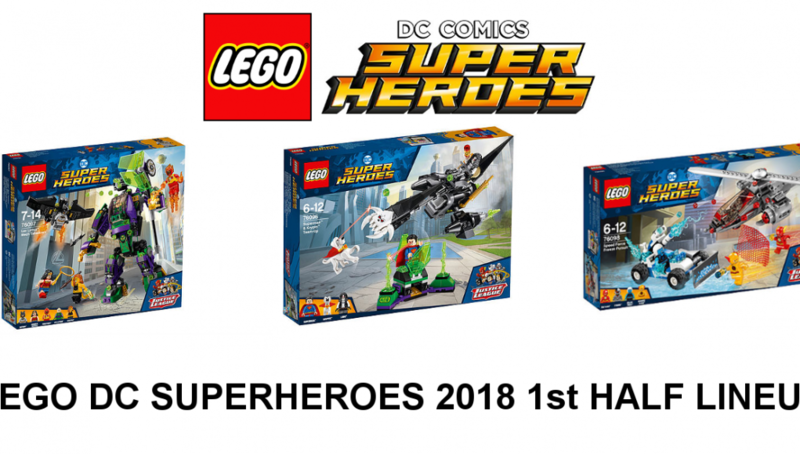 These 2018 LEGO DC Superheroes images have been around for some time, after being announced by LEGO at the SDCC 2017 but we thought we’d update it again since some high resolution images have since been released. 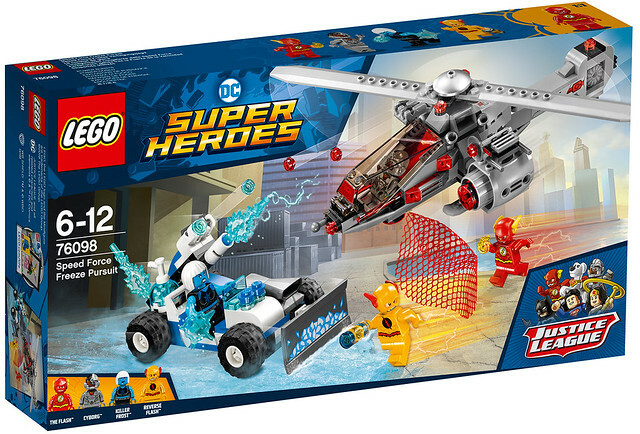 Join Krypto™ the Super-Dog’s bid to release Superman™ with this LEGO® DC Comics Super Heroes Superman & Krypto Team-Up set, featuring Lobo’s Space Hog bike, a Kryptonite prison, buildable red Power Unit and assorted translucent-green Power Burst elements to customize your builds and minifigures. 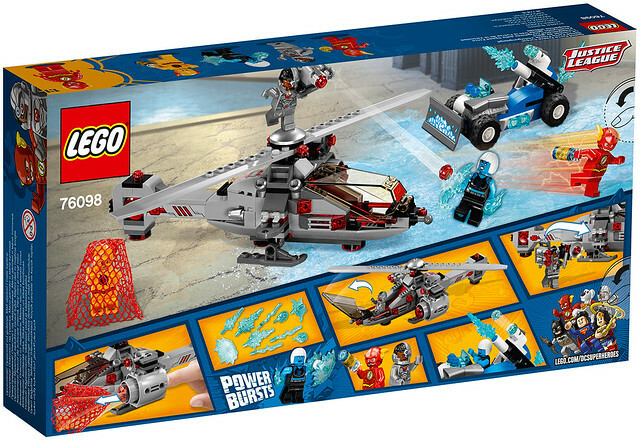 Fire the Space Hog bike’s stud shooters and use its bomb-dropping function to activate the prison’s explode function. 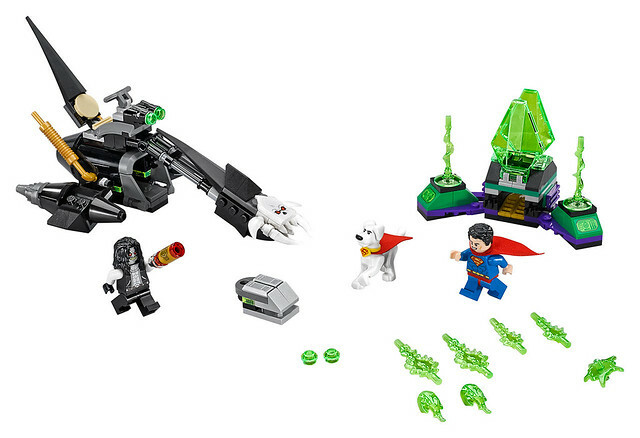 This awesome set also includes 2 minifigures and a Krypto the Super-Dog figure. 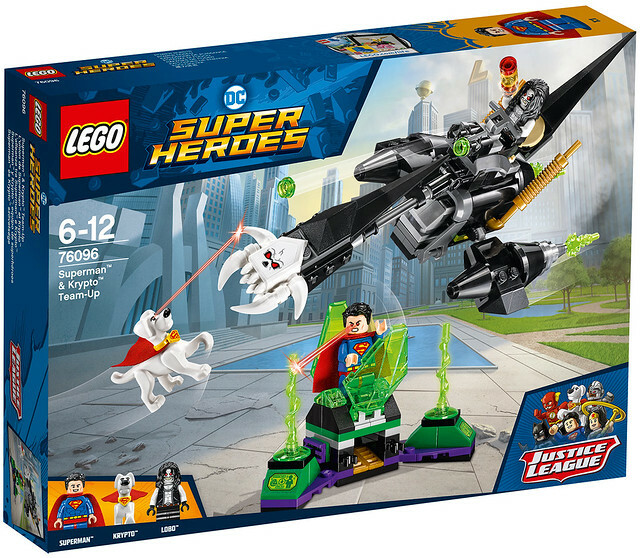 Includes Superman™ and Lobo™ minifigures, plus a buildable Krypto™ the Super-Dog figure. 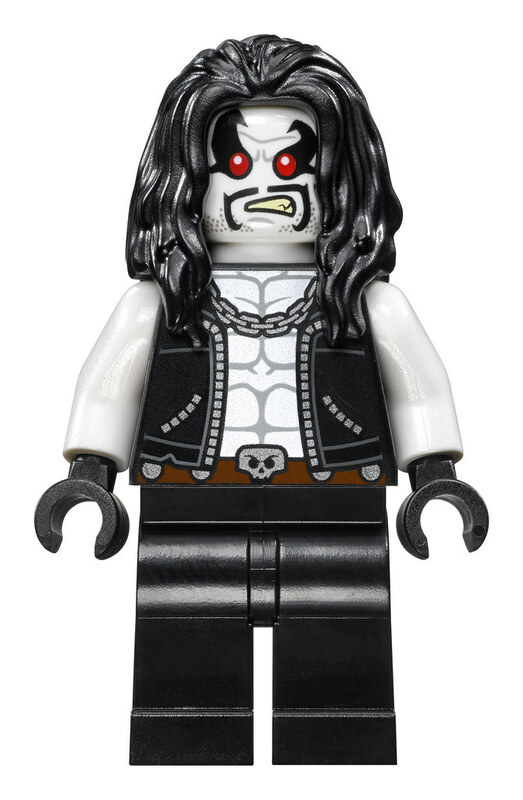 Lobo’s Space Hog bike features a minifigure seat, 2 Kryptonite stud shooters, bomb-dropping function, and 2 adjustable boosters. 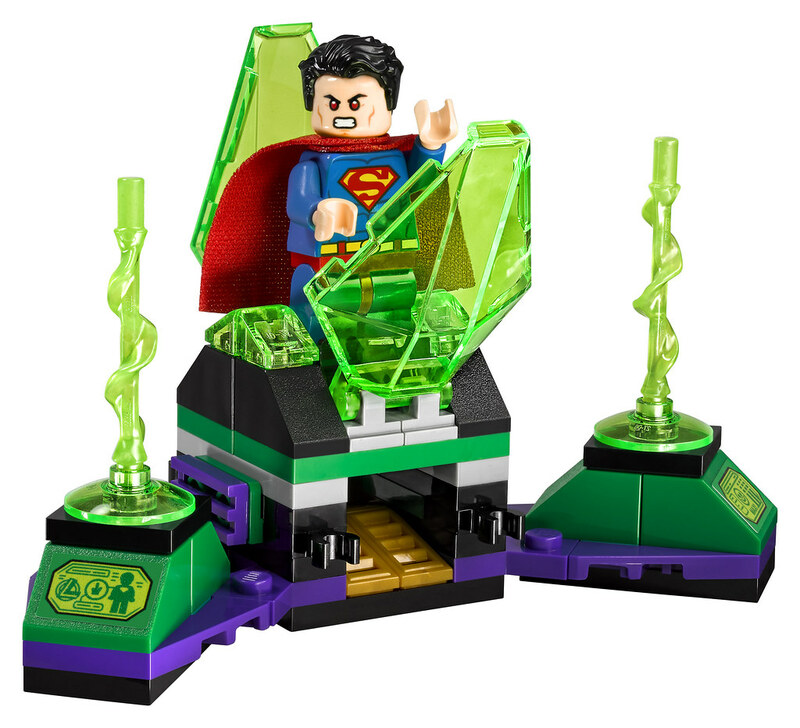 Kryptonite prison features 2 translucent-green prison walls and an explode function. 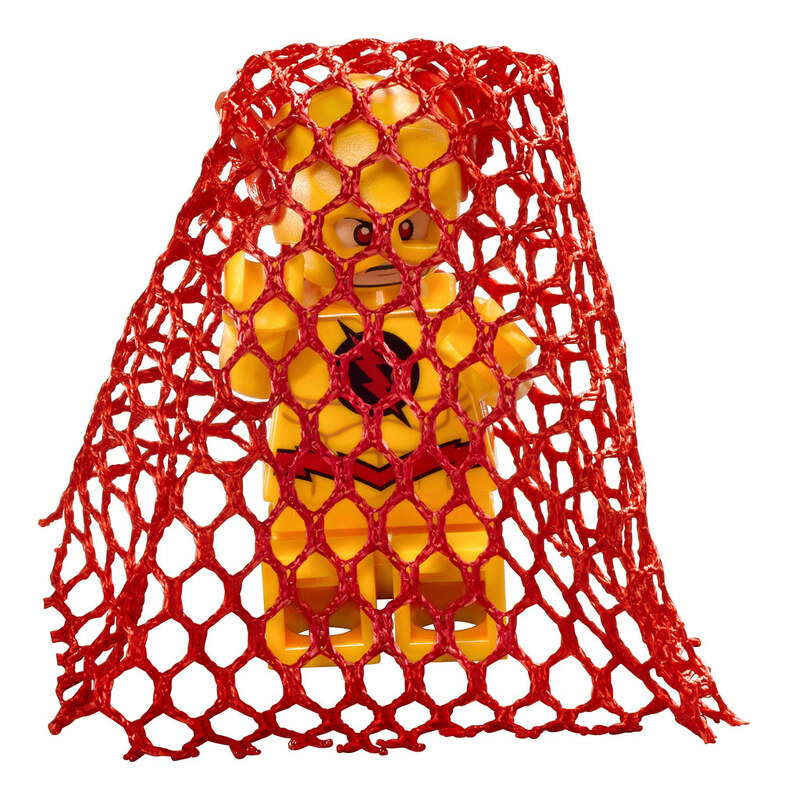 Use the bomb dropped from Lobo’s Space Hog to activate the prison’s explode function. 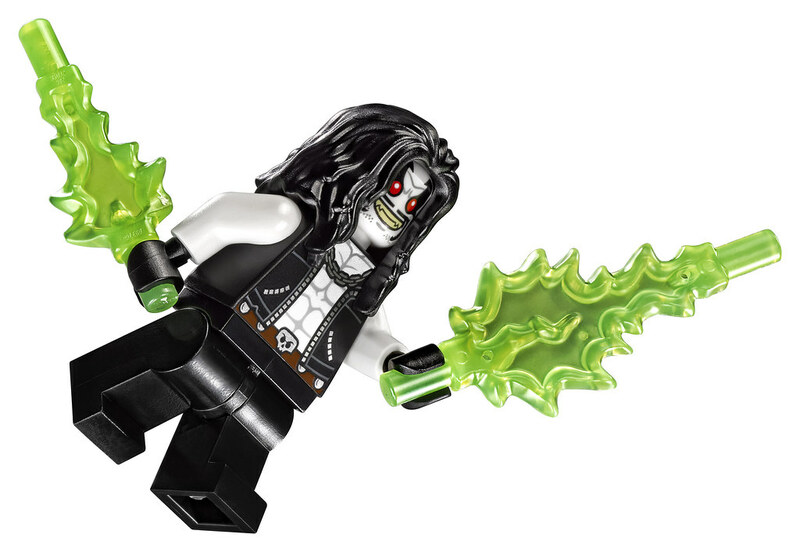 Includes 10 assorted translucent-green Power Burst elements to customize your builds and minifigures. 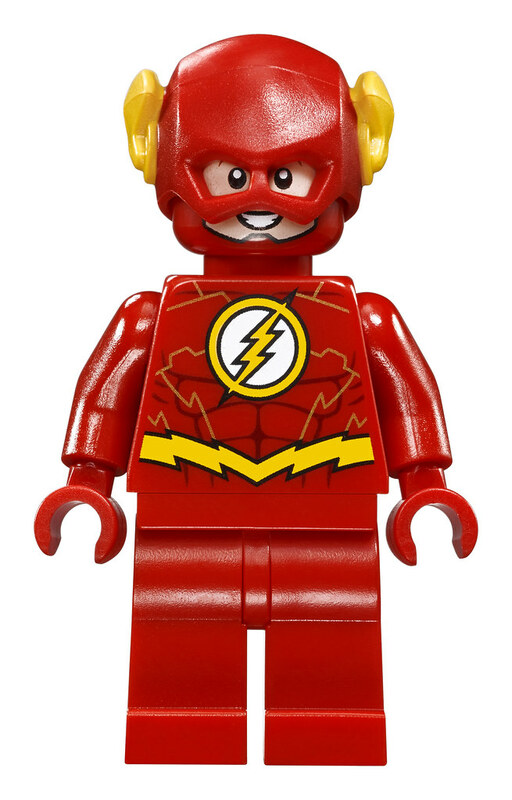 Also includes the buildable red Power Unit. 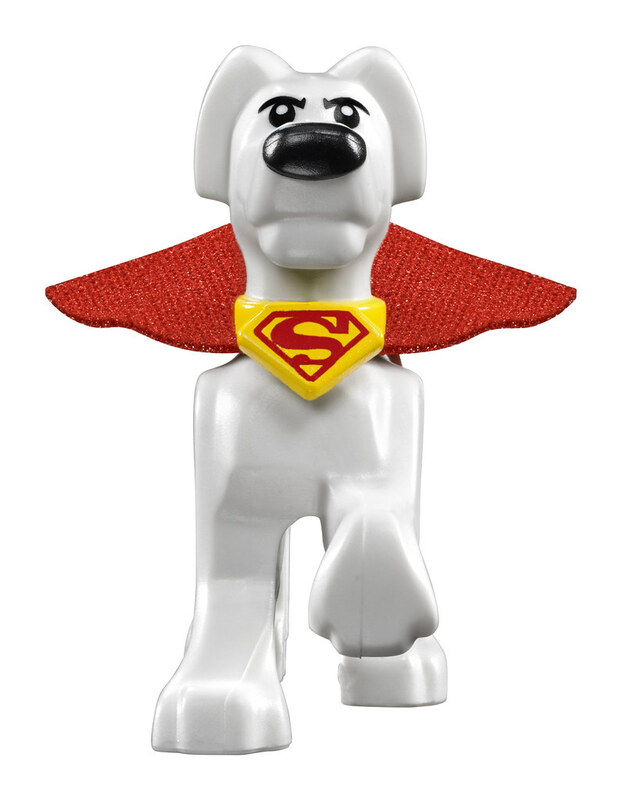 Krypto™ the Super-Dog figure is new for January 2018. 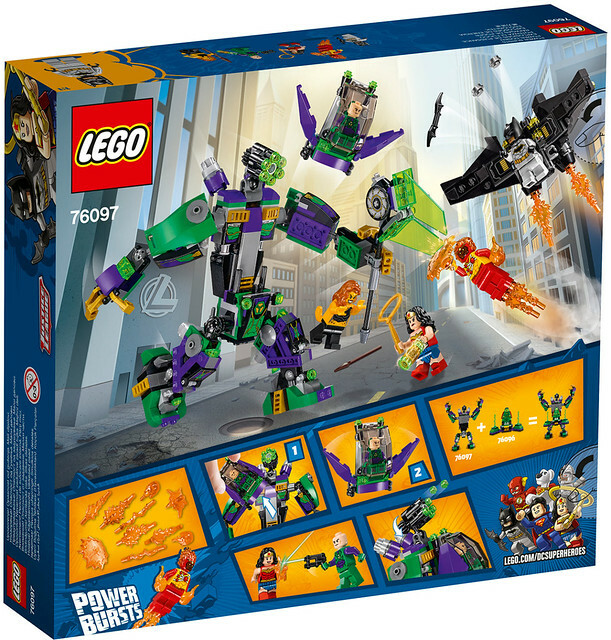 Connect the Kryptonite prison to the 76097 Lex Luthor™ Mech Takedown set for even more Justice League action. Space Hog measures over 3” (9cm) high, 7” (20cm) long and 4” (11cm) wide. 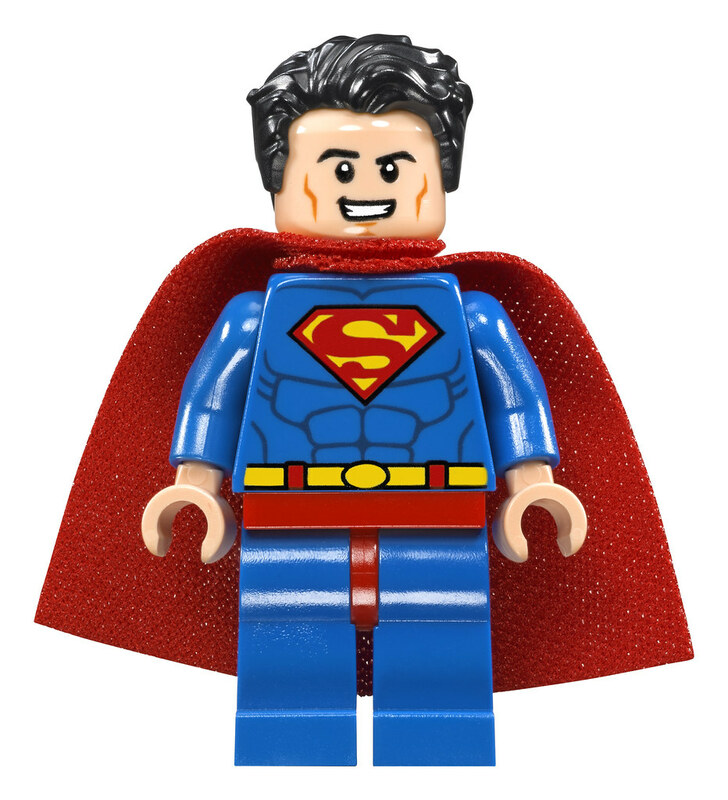 Kryptonite prison measures over 2” (7cm) high, 4” (11cm) wide and 1” (5cm) deep. 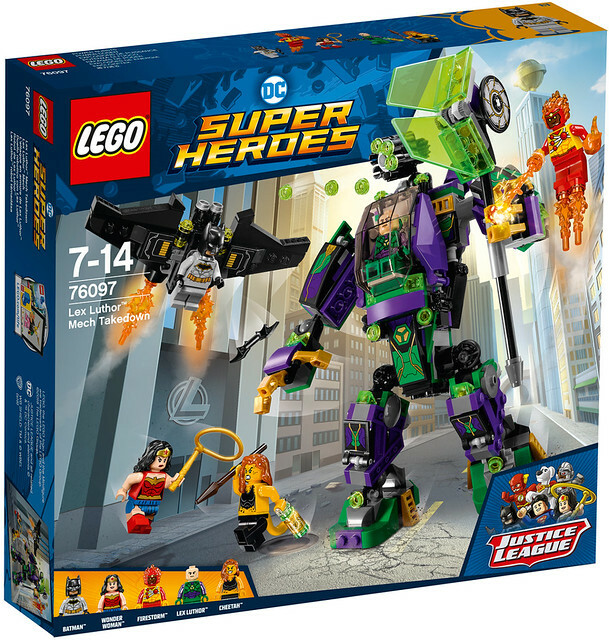 Team up with the Justice League heroes to grab the Power Unit back from Cheetah™ with this LEGO® DC Comics Super Heroes Lex Luthor™ Mech Takedown set. 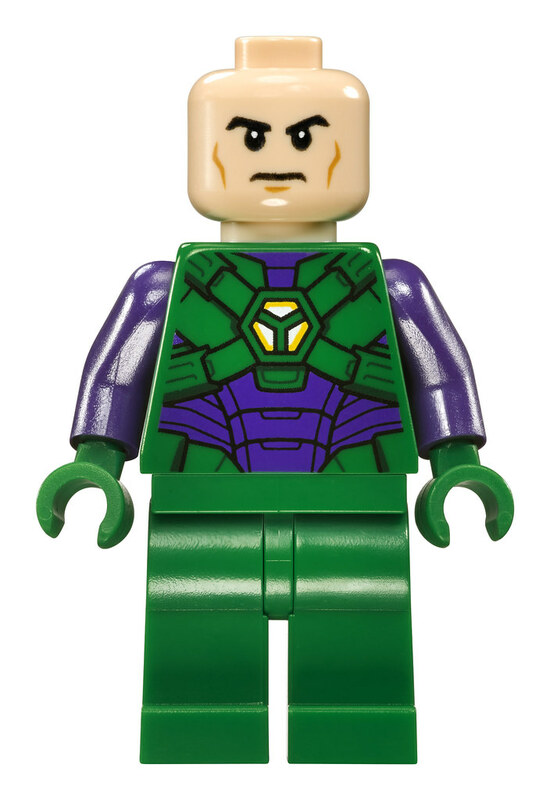 The Lex Luthor Mech features an opening minifigure cockpit/escape pod, adjustable 6-stud rapid shooter and attachment points for 3 collectible Power Unit elements. 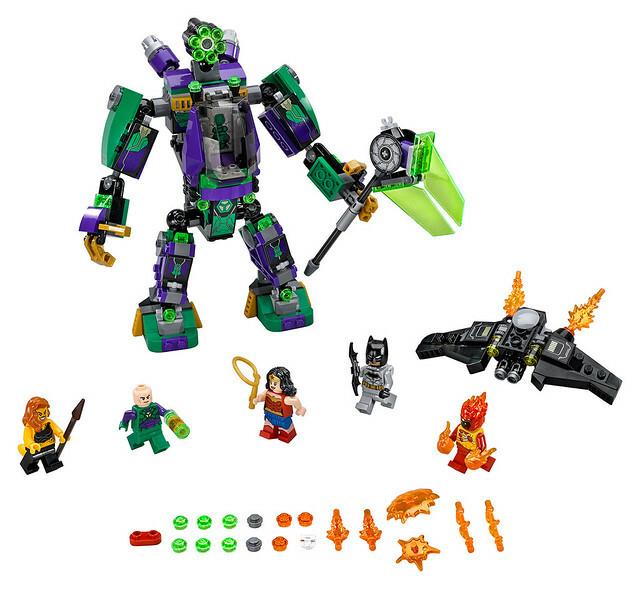 This action-packed set also includes Batman’s Bat Glider with 2 stud shooters, the buildable green Power Unit, 5 minifigures, plus assorted translucent-orange Power Burst elements to customize your builds and minifigures. 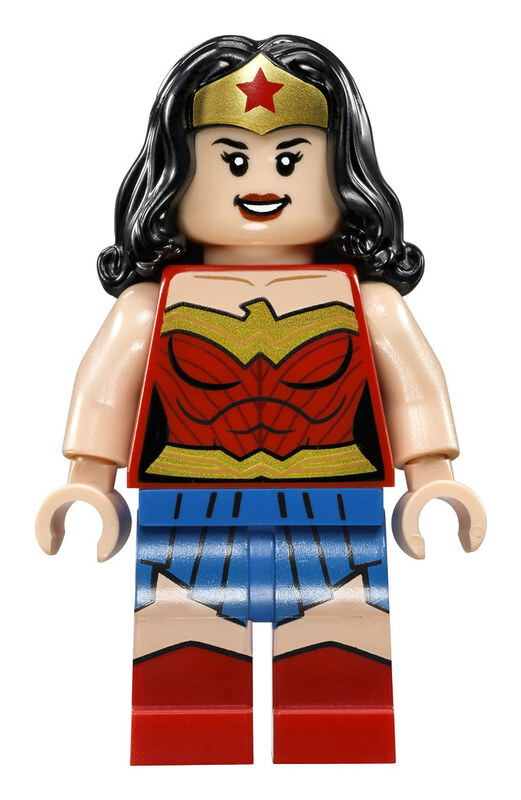 Includes 5 minifigures: Lex Luthor™, Batman™ (in Rebirth costume), Wonder Woman™, Firestorm™ and Cheetah™. 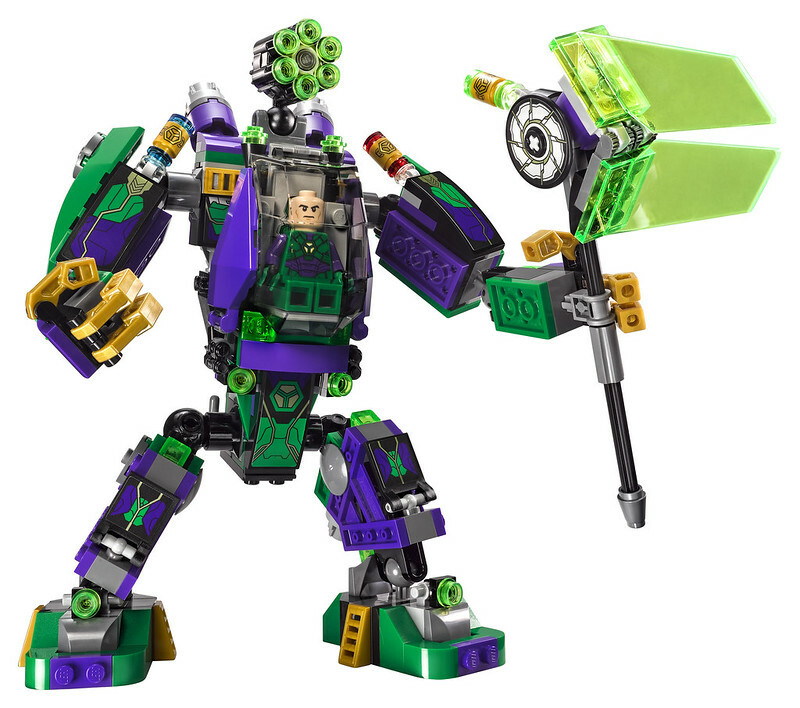 Lex Luthor™ Mech features an opening minifigure cockpit/escape pod, posable legs, arms and fingers, adjustable 6-stud rapid shooter, buildable axe, attachment points for 3 collectible Power Unit elements, plus an attachment point for the Kryptonite prison featured in 76096 Superman™ & Krypto™ Team-Up. 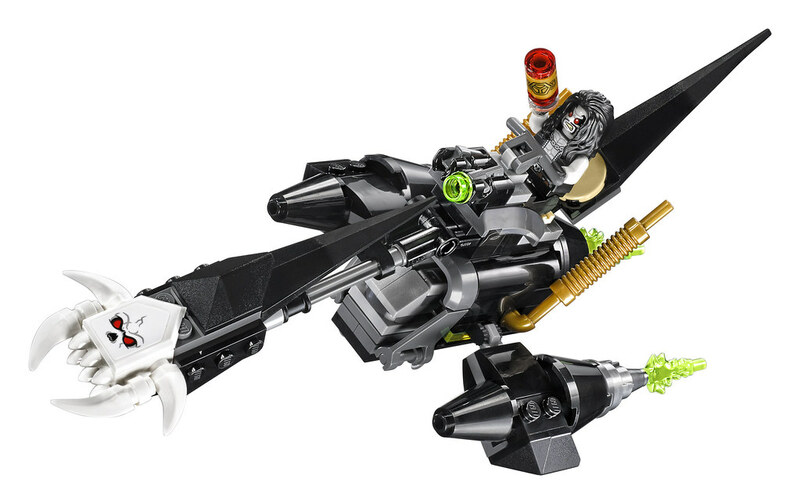 The mech’s escape pod has fold-out wings, an attachment point for a Power Unit element and 2 detachable guns. 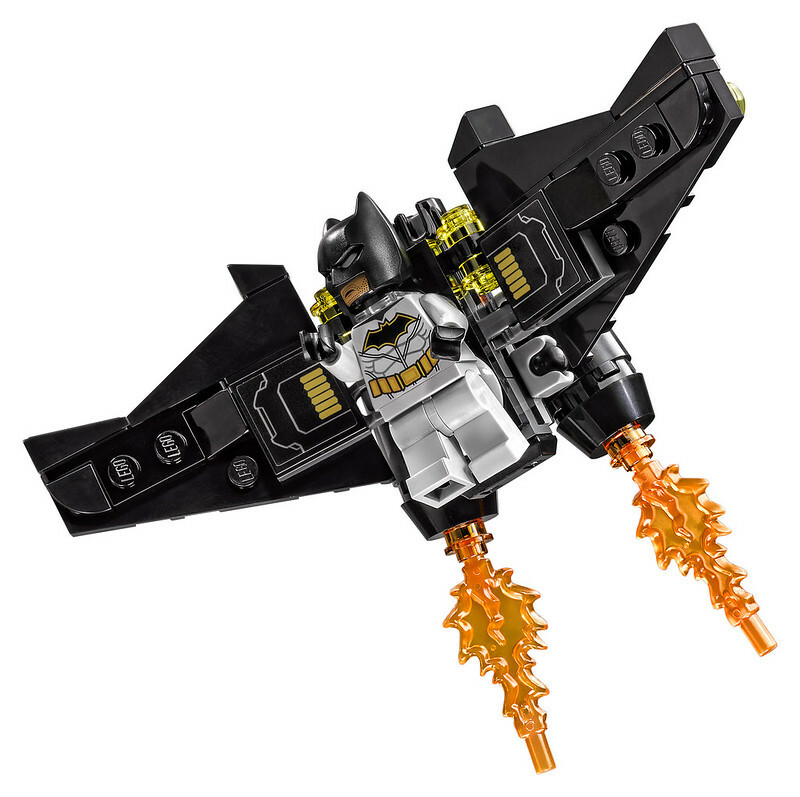 Bat Glider features an attachment point for the Batman™ minifigure, 2 stud shooters and translucent-yellow light-style elements. 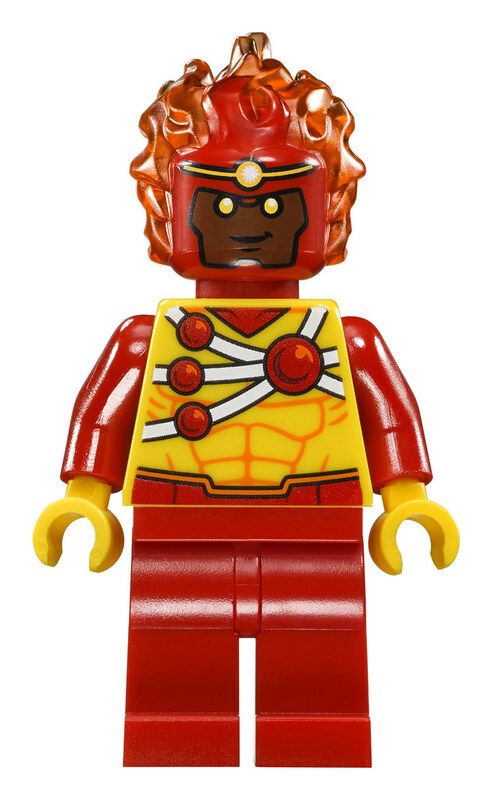 Includes 10 assorted translucent-orange Power Burst elements to customize your builds and minifigures. 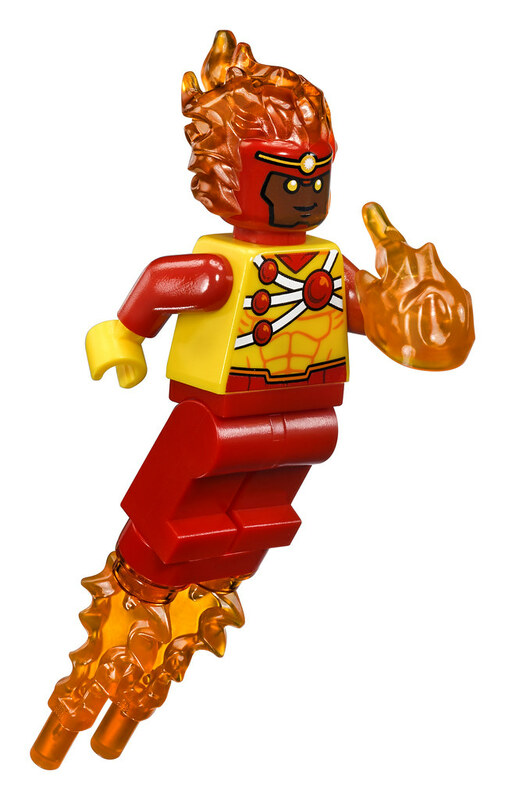 Also includes the buildable green Power Unit. 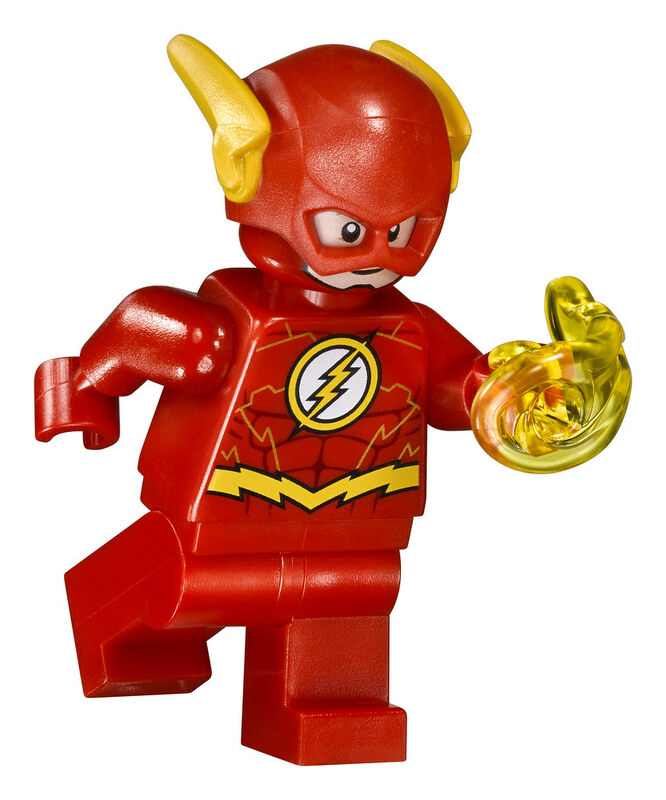 Speed Force Freeze Pursuit sets to the Lex Luthor™ Mech. 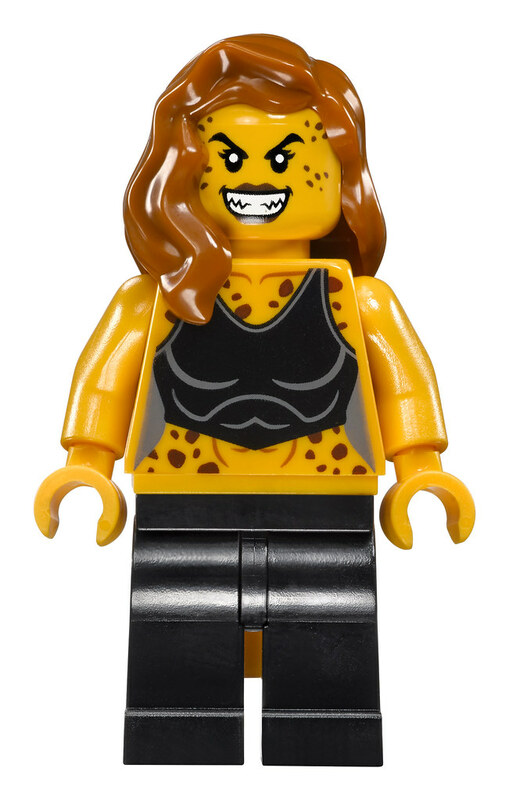 Weapons include Batman’s Batarang, Wonder Woman’s lasso and Cheetah’s spear. 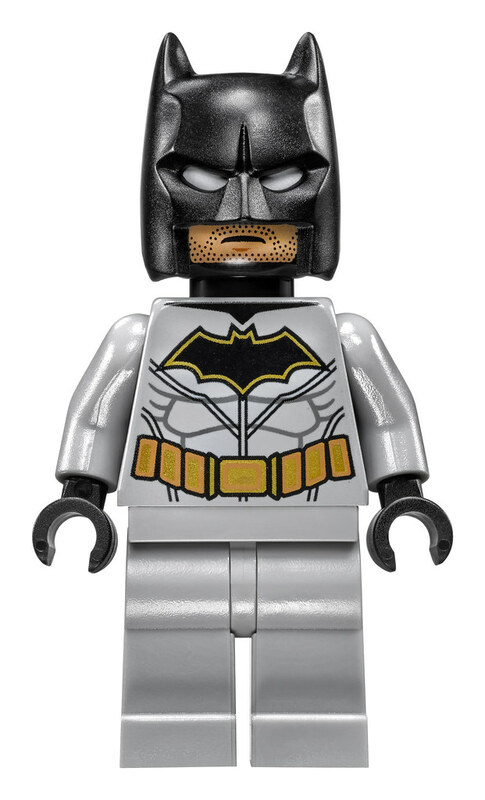 Batman™ minifigure (in Rebirth costume) is new for January 2018. 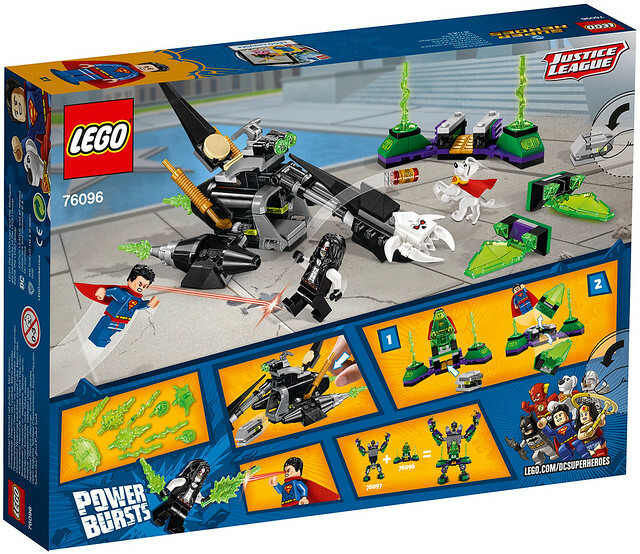 Connect to the Kryptonite Prison in the 76096 Superman™ & Krypto™ Team-up set to the Lex Luthor™ Mech for even more Justice League action. 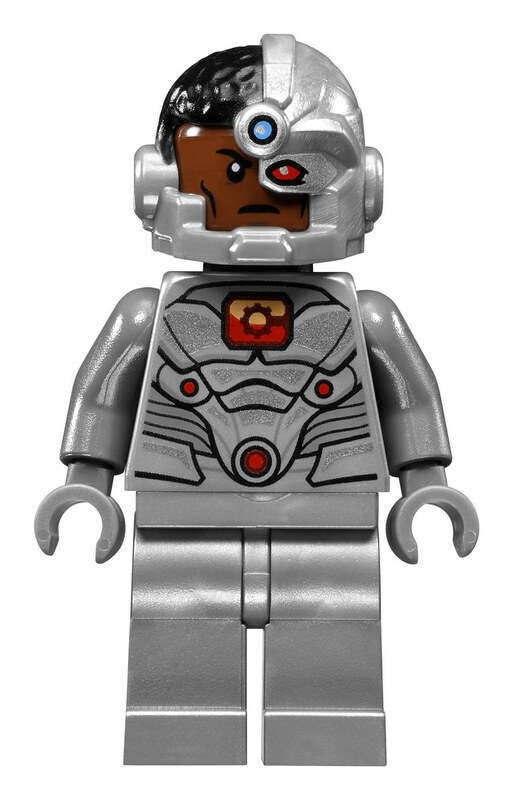 Lex Luthor™ Mech measures over 7” (19cm) high, 1” (5cm) long and 4” (12cm) wide. Escape pod measures over 2” (6cm) high, 1” (4cm) long and 1” (4cm) wide. Bat Glider measures over 2” (6cm) high, 1” (3cm) long and 4” (12cm) wide. 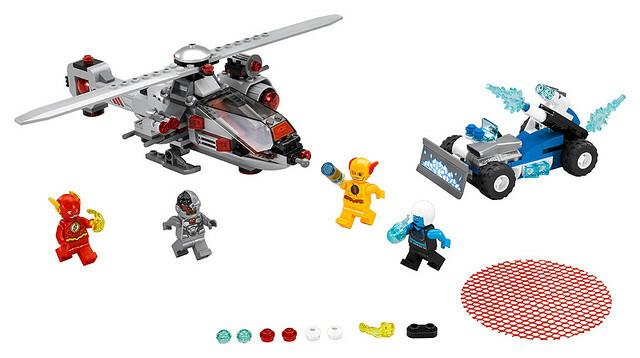 Dash with The Flash™ to catch Reverse-Flash™ and match the awesome CyborgCopter against Killer Frost’s Ice Car with the LEGO® DC Comics Super Heroes Speed Force Freeze Pursuit set. 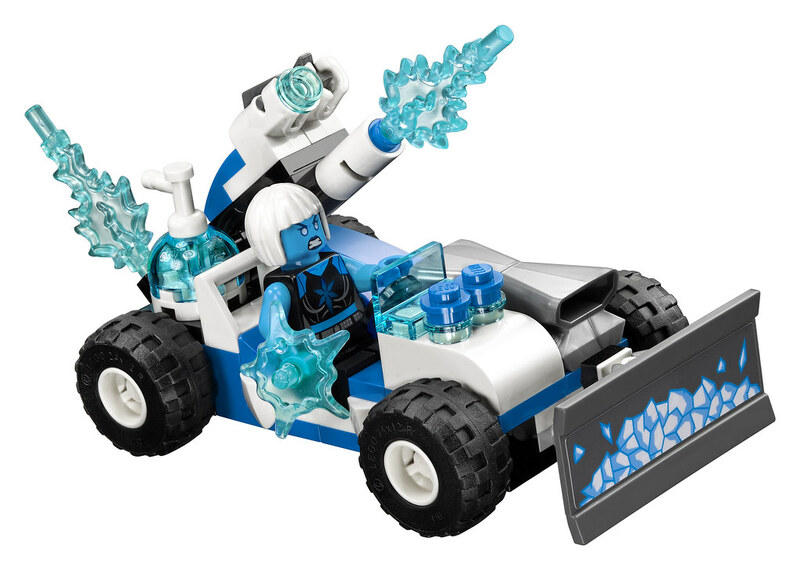 The CyborgCopter features a net shooter and detachable weapons to also use as minifigure weapons and the Ice Car has an adjustable bulldozer blade and 2 stud shooters. 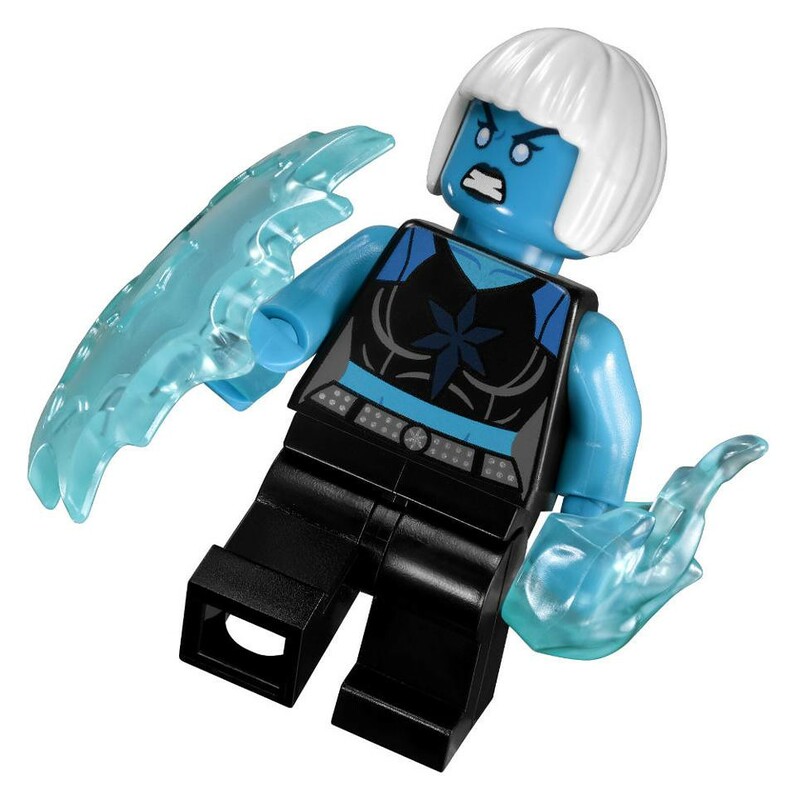 Play out a Justice League vs. villains battle for the blue Power Unit with 4 minifigures and assorted translucent-ice-blue Power Burst elements to customize your builds and minifiigures. 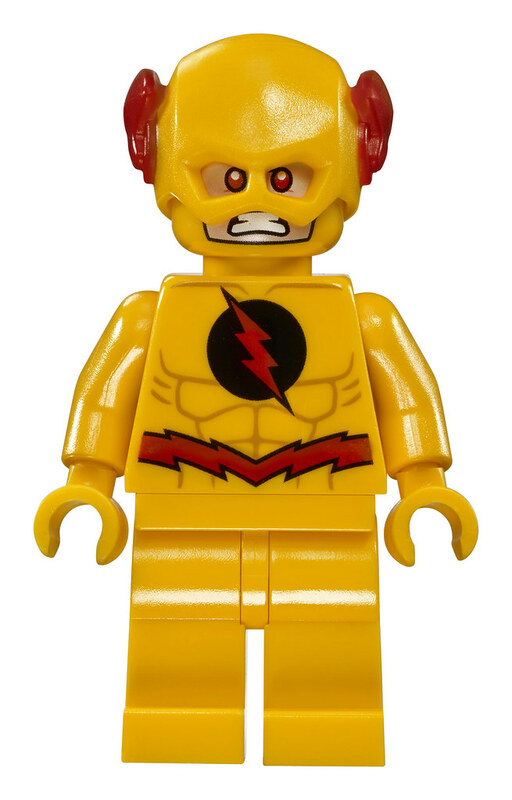 Includes 4 minifigures: The Flash™, Reverse-Flash™, Cyborg™ and Killer Frost™. 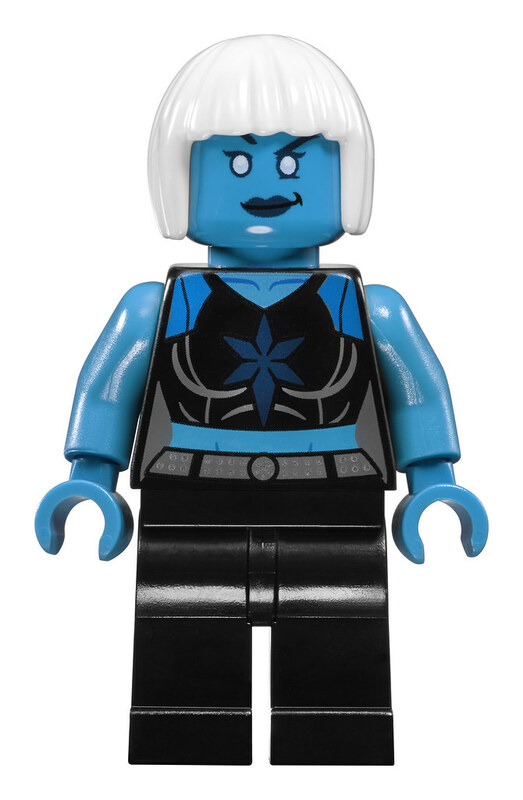 Also includes the buildable blue Power Unit.